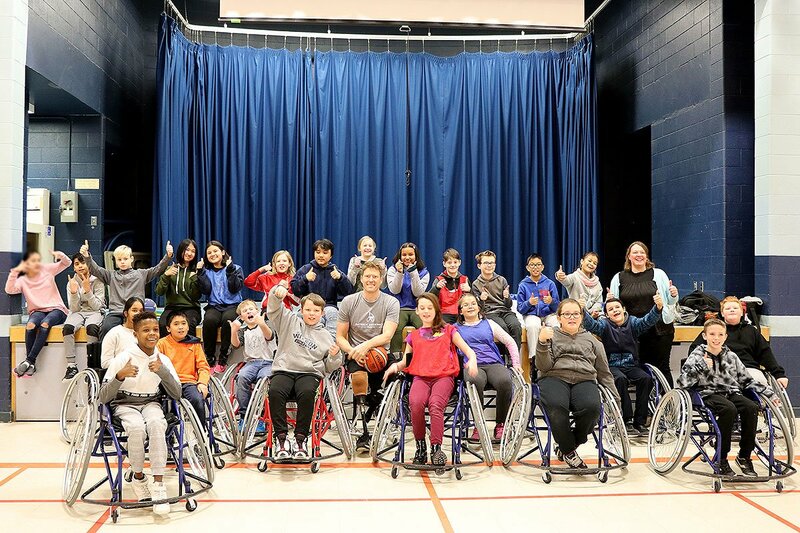 GUELPH, Ontario – Students at Paisley Road Public School were given an amazing opportunity to further their learning in inclusion and accessibility through a very special guest visit. 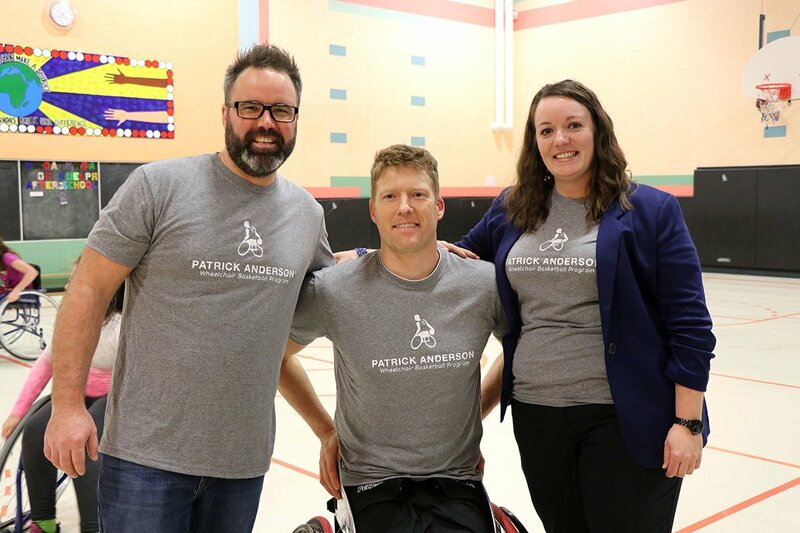 On January 30, Patrick Anderson, four-time Paralympic Champion and arguably the best wheelchair basketball player in the world, visited the school. Anderson was there with Drayton Heights PS teacher Andy Speers and the UGDSB’s Equity Lead Jessica Rowden to announce an exciting opportunity for students at the school. 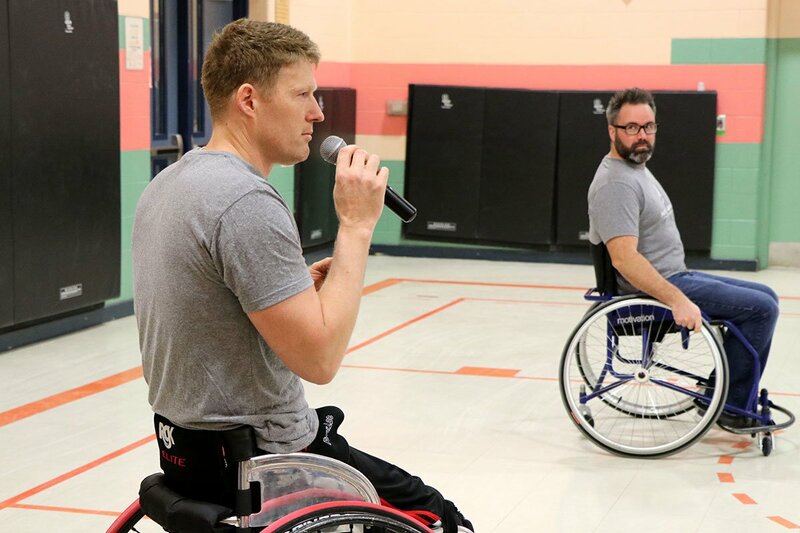 Anderson, who grew up in Fergus, spoke at a school-wide assembly, sharing some of his experiences growing up, including his love of hockey and other sports, and the accident that lead to the loss of both his legs below the knee. 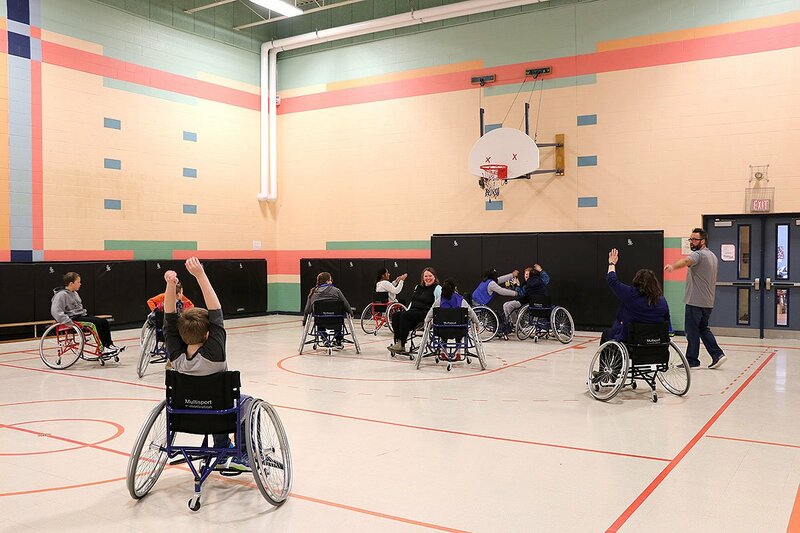 Anderson was introduced to wheelchair basketball at a young age and, with the guidance of his coach, constantly worked to improve his game. 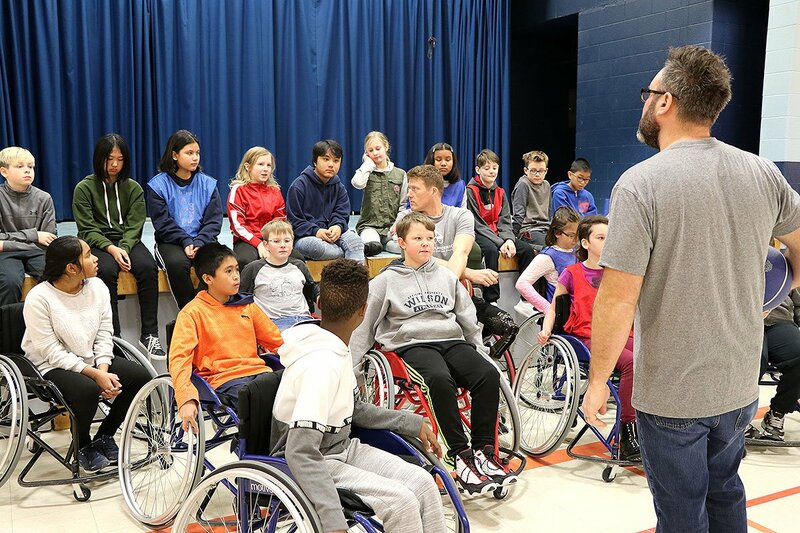 At the assembly, Anderson showed the students his prosthetic legs, wheelchairs, and two of his four Paralympic medals. 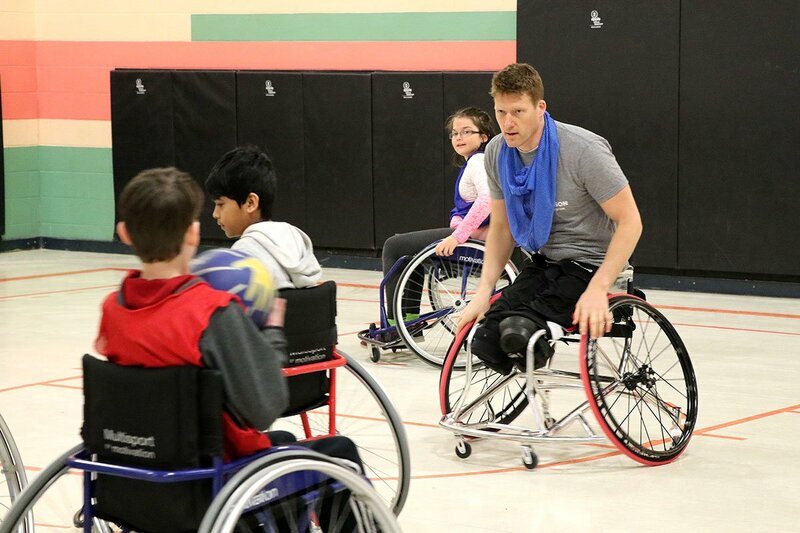 He led the Canadian men’s wheelchair basketball team to Paralympic gold in 2000, 2004 and 2012 and silver in 2008. 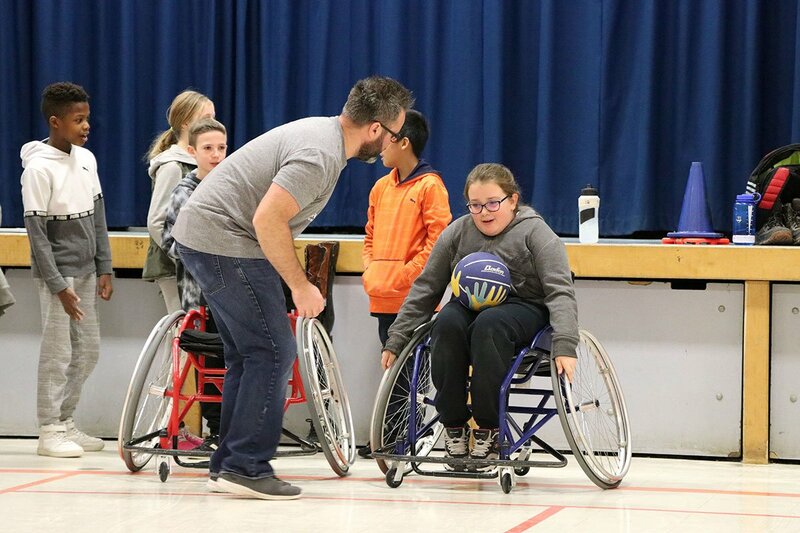 Following the assembly, one lucky class had the opportunity to play wheelchair basketball and work on their skills under the guidance of Anderson and Mr. Speers. Andrea Bardens’ class was awarded the special prize in recognition of their dedication to inclusion and accessibility. The lessons the kids took home that day were not just about skills on the court. 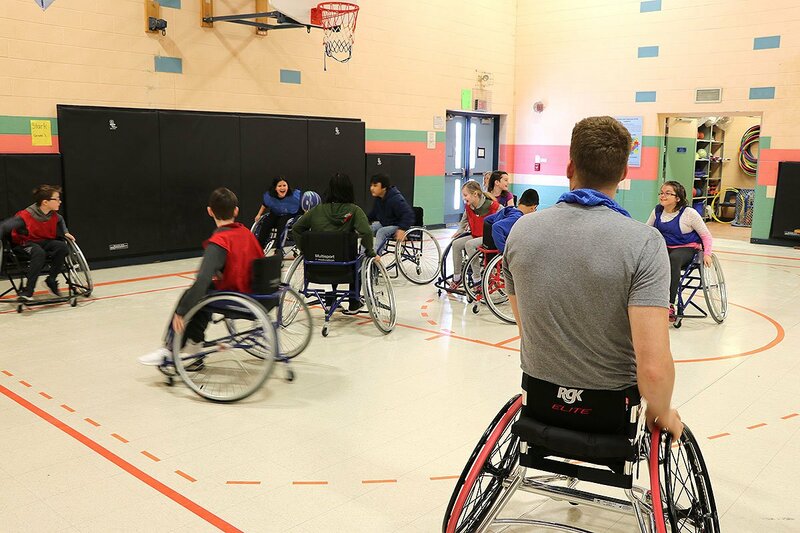 They also learned about inclusion and about how there are always changes you can make to include everyone in your sport or game. 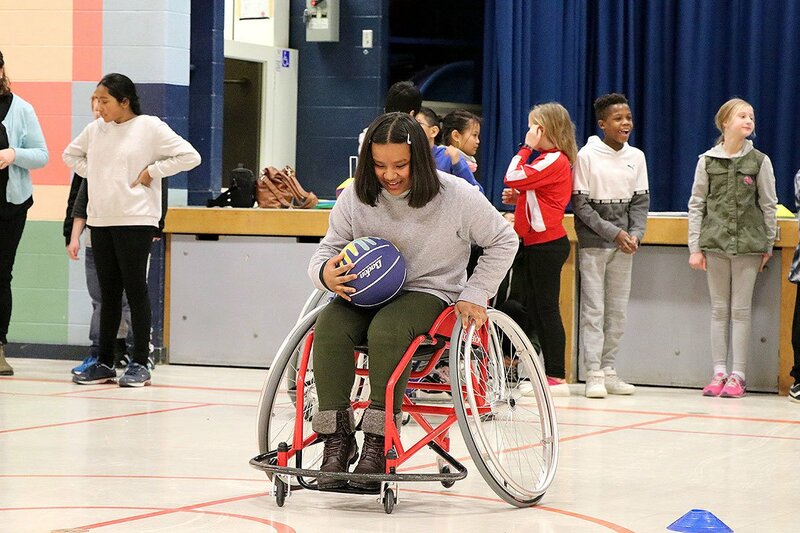 The wheelchair basketball program will travel around so multiple schools in the Upper Grand DSB have a chance to take part in the fun and fast inclusive sport.